Here's some of people who rented cottages at Campbell's Beach during it's last couple of decades. During this period, most of the cottages were rented on a seasonal basis by the same family year after year. The listing is by cottage numbers - see map below. The list is incomplete, limited by my memory! Top of map = West. 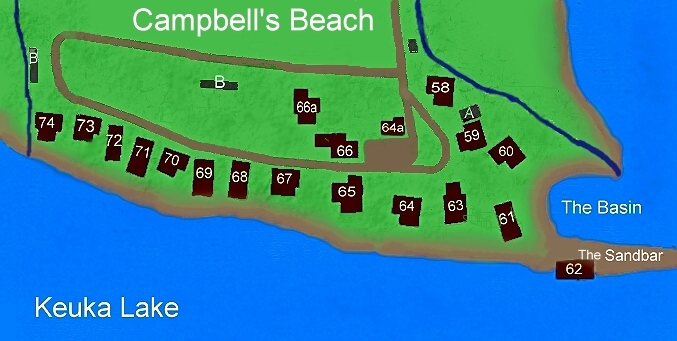 The numbers are those assigned to cottages surrounding Keuka Lake.